Edgar Crow Baker (1845-1920), Past Grand Master – Temple Lodge, No.33, Duncan, B.C. 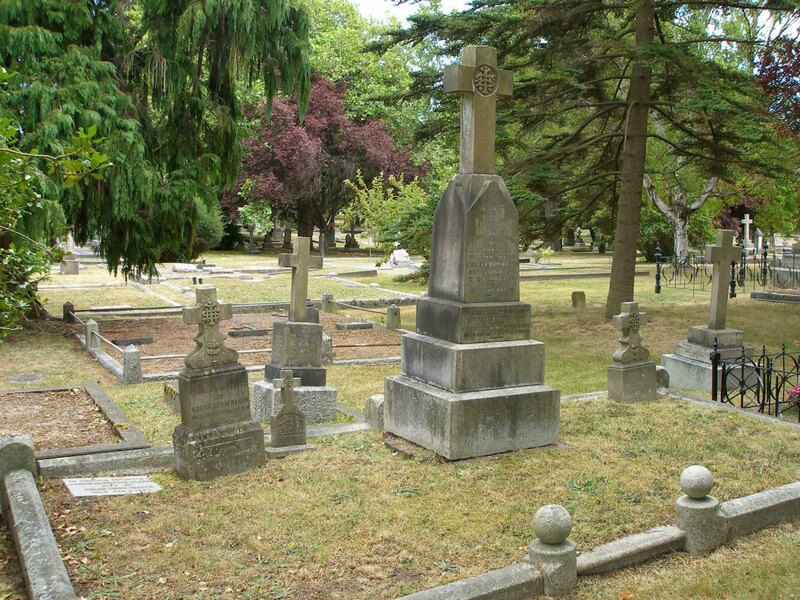 As part of our Vancouver Island Masonic History Project, with its sections on Vancouver Island Cemeteries – Masonic Interments and Deceased Brethren, here is a page on Edgar Crow Baker (1845-1920), Past Grand Master, who is buried in Ross Bay Cemetery, Victoria, B.C. Most Worshipful Brother Edgar Crow Baker had an interesting and accomplished life (see his obituary below). He was a member of Victoria Columbia Lodge, No. 1 who served as Grand Master of B.C. in 1883-84. He affiliated with Victoria Columbia Lodge, No. 1 in 1874, served as Worshipful Master in 1880 and Grand Secretary from 1880-1883. He had previously been a member of Cumberland Kilwinning Lodge No. 217 in Port Glasgow, Scotland. He was active in local politics, serving as a Victoria City Council member and a Member of Parliament, and was one of the leading local financiers in late 19th and early 20th century Victoria. In partnership with M.W. Brother Robert Burns McMicking, he was instrumental in establishing the first electrical power and telephone companies in Victoria. He was also in partnership with Brother Alfred Flumerfelt in an investment and financial advisory firm which maintained offices in the Bank of B.C. Building at the intersection of Fort and Government Streets in downtown Victoria. “With a record of nearly fifty years public service in the community, during which he was successively a member of the City Council and of the Federal Parliament, Edgar Crow Baker died last evening at his residence, Gorge Road at the ripe age of seventy-six years. Although he had been in failing health for some time, the end came in the nature of a great shock to his many friends, for the late Mr. Crow Baker had retained his faculties to a remarkable degree. Besides his widow he leaves a brother residing in Nelson, whose arrival is awaited before funeral arrangements can be completed. Edgar Crow Baker was the third son of Edward William Whitely Baker, of Liscard Park, Cheshire, England. He was born September 16, 1845, at Lambeth, Surrey, England, springing from an old English family that traces its descent from 1310. He was educated at the Royal Hospital School, Greenwich, and in 1860 obtained nomination by competition into the Royal Navy as master’s assistant (now styled navigating midshipman), having held the first place in the first class nautical for fifteen months previous to the examination and passed with honors at the head of a class of 400 competitors at the general examination, winning the first prize in mathematics, navigation, nautical astronomy and Scripture history, and on passing the final test examination at the Royal Naval College, Portsmouth, was awarded the silver medal and thirty-five guineas worth of nautical instruments and books. He was then appointed to the H.M.S. Victory, but was transferred to the Rolla, a ten-gun, sailing brig, in which he continued until the spring of 1861, when he was appointed to the H.M.S. Cygnet, on the North American and West Indian stations, and was present at the bombardment of the Haytien capital when H.M.S. Bulldog was lost. He also landed with the Naval Brigade at the Jamaica insurrection, 1866. He went up the Mississippi River in H.M.S. Cygnet to protect British interests, and was sent away as prize officer in 1863 in charge of the ship Dalhousie, of Glasgow, salved by the Cygnet in the Straights of Belle Isle, and navigated her thence to St. John’s, Newfoundland. He was paid off from the Cygnet at Halifax, in October, 1864, and joined H.M.S. Duncan, flagship of Vice-Admiral Sir James Hope, C.C.B., a ninety-one-gun line-of-battle-ship, on the same station. During the Fenian trouble in the 60’s he took troops to St. Andrew, Bay of Fundy, and landed for service with the Naval Brigade. He passed his examination, receiving first class certificates, and obtained his first commission as navigating sub-lieutenant September 11, 1865. Returning to England in June 1867, he obtained a first class certificate in examination for navigating lieutenant in the Royal naval College, Portsmouth, and an extra certificate in his examination before the Elder brethren of the Trinity House as a Channel pilot for H.M. frigates. Subsequently he served in H.M.S. Fox in the transportation of boilers and machinery from the various dockyards in the United Kingdom for three years. Afterwards Mr. Crow Baker served in H.M.S. Cockatrice as naval sub-lieutenant in charge of the Mediterranean and the River Danube, enforcing the rules of the European Commission, and during this time made a survey of St. George’s Channel, the River Danube and several places where grain vessels had been sunk. He had been granted his lieutenant’s commission August 9, 1870. He returned to England across the continent, and remained on half pay until March 1872 when he was appointed to H.M.S. Royal Alfred, as navigating lieutenant, then to H.M.S. Sirius, in the West Indies, but he exchanged into H.M.S. Niobe, and took that vessel from Bermuda to Halifax, and thence to the various ports in Prince Edward Island, Newfoundland and the Gulf of St. Lawrence, protecting the fisheries. At his own request he again went on half pay in September 1872. He served for six months on the Board of Examiners of Masters and Mates, when he was superseded by a political nominee. He then accepted a position as accountant in the stores department of the Inter-Colonial Railway, in which he continued until March 1874, when he left with his family for British Columbia. Since his arrival in Victoria, Mr. Crow Baker had been engaged in various business pursuits, having occupied the position of accountant at Victoria agency of the Hastings Mill Company for three years; afterwards he was similarly employed for nearly two years in the Provincial Treasury. Under the Dominion Act of 1873 he organized the pilotage system of British Columbia. He has also held the position of secretary of the British Columbia Board of Trade, 1878-1885, and vice president 1885-86 of that body, president of the British Columbia Rifle Association, vice-president of the Dominion Rifle Association, grand secretary and later grand master of the British Columbia jurisdiction A.F. & A.M., vice president British Columbia Benevolent Association, member of the Council of the Imperial Federation League in Canada, director of the Royal Jubilee Hospital, secretary Howe Mining Company, Ltd., president Alice and Emma Consolidated Gold Quartz Mining Company, managing owner steamer Alert, Justice of the Peace for the Province, real estate and financial agent, hydrographic and marine surveyor, conveyancer and notary public. 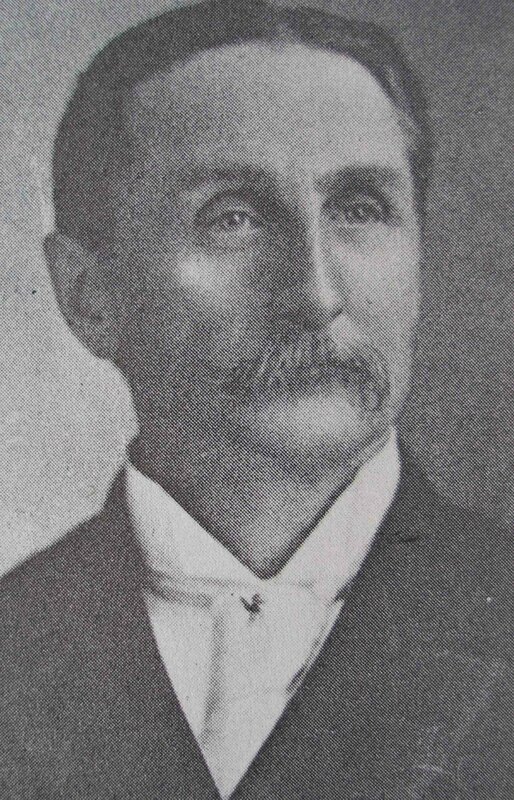 In January 1882, he was elected a member of the City Council from Yates Street ward, and in July following was returned at the head of the poll by the electors of Victoria district as a Conservative to a seat in the Canadian House of Commons, his colleague being Noah Shakespeare, and at the general election of 1887 was again elected as a senior member for Victoria in the Dominion House of Commons by a larger majority than in 1882, but owing to his commercial pursuits demanding his undivided attention, he resigned his seat in the Commons on September 22, 1889. Mr. Crow Baker in 1880 organized the Victoria & Esquimalt Telephone Company, Limited, of which he was managing director and secretary-treasurer until 1900, when the company was merged into what is now the B.C. Telephone Company, Ltd. [note: now part of Telus] Mr. Baker was the financial advisor for the late Alderman R.B. McMicking, for whom he established the company which was also the first in the Pacific Northwest. Also, in conjunction with the late Mr. McMicking, in 1886, he introduced electric light in the city, both for commercial and house purposes under the name Victoria Illuminating Company, which concern was merged with the B.C. Electric Company, Ltd., which operates it at the present time. For many years he took an active interest in the Protestant Orphans’ Home, and his many kindly acts in this and numerous other connections will be long remembered by those who came in touch with him either as co-workers or beneficiary. 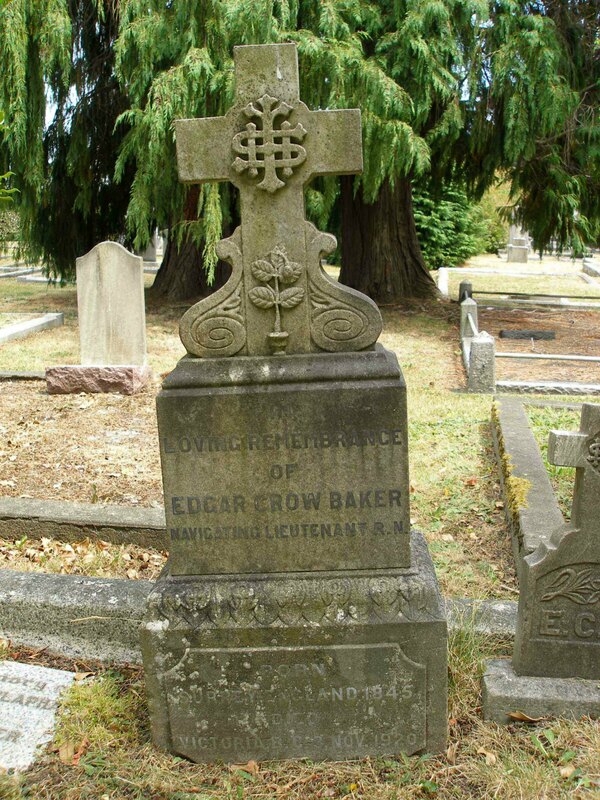 Edgar Crow Baker is buried in Ross Bay Cemetery, Victoria, B.C. Edgar Crow Baker headstone. Ross Bay Cemetery, Victoria, B.C. Edgar Crow Baker family burial plot. Ross Bay Cemetery, Victoria, B.C.